Designs from my drawing board. 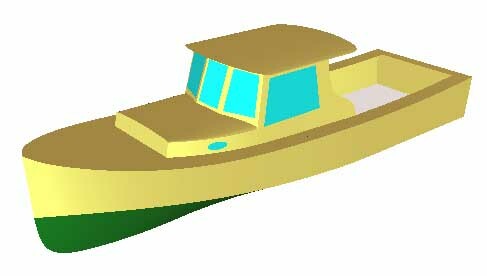 Design 002 - This design was commissioned by a friend looking for a capable fishing boat with some overnight accommodations. 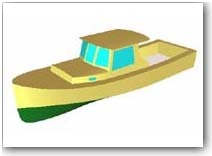 The hull is a derivative of the traditional lobster boats, with refinements more efficient planing. 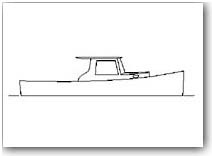 The cockpit extends on one level from the cabin bulkhead aft to the transom, unbroken by engine boxes or a raised deck, thanks to deep bilges and a single compact Yanmar engine.